The holidays will be here before we know it. If your senior wants to travel this merry season, be sure to get them where they need to go safely and with minimal stress. Holiday travel can be hectic and stressful if it’s not properly planned with a well-organized itinerary. If you are a son or daughter in charge of caring for a senior loved one – be it your parent or grandparent, or even close family friend – there may be times that they will want to fly for vacation or to visit other relatives during the holidays. And you may not always be able to accompany them. With the right research and planning, you can get your senior loved one where they need to go safely. Below are a few tips on how to make holiday travel a seamless process that keeps seniors comfortable, relaxed and arriving at their destination with ease. When booking flights, you and your senior should get as much information as possible. Having an informational packet put together will help everyone know what to expect and feel prepared for whatever may arise. Look through the TSA website to learn about which medications are allowed and how to communicate with an officer about medically necessary bottles or containers. Request copies of prescriptions and statements of medical conditions from each physician and medical center for verification. Making photocopies of passports, driver’s license, insurance cards, travel tickets, and the trip’s itinerary provides a backup in case of any unforeseen emergencies. Keep one set of copies with you (the caregiver), place a set of the documents in your senior’s carry-on bag, and forward a set of the documents to the destination. For some seniors, traveling can be tricky no matter how well-planned their trip may be – whether it’s mobility issues, medication concerns or just anxiety that comes with travel. As the family caregiver, it might make sense for you to find a travel companion to help your loved one along on their trip, especially if you are unable to travel with them. Travel companions assist senior travelers every step of the way. They keep them company, remind them to take their medications, and provide family caregivers at home with peace of mind knowing someone is there with your traveler’s best interest in mind. When booking a flight for a senior, select an aisle seat. No matter how long the flight is, it’s important for senior travelers to have a seat located in the aisle. One of the most critical risks for senior travelers is DVT, or deep vein thrombosis. Blood clots can form in the legs and travel to the lungs, causing serious health concerns during or after a long flight, simply because a person did not move or stretch often enough. Even if a senior is in good health, they should try to get up and stretch during a flight (with assistance) to keep their limbs from falling asleep, their blood flowing, and to help avoid discomfort or fatigue due to poor oxygen/blood circulation. A travel pillow that cradles the neck, head and chin can prevent straining the muscles. Noise-canceling headphones are a great investment for seniors sensitive to noise. Traveling seniors should always pack something light to eat in case of unexpected delays, especially if they need to take medicine with food during the flight. This also avoids the need to get their money out in a public place. Compression socks can help maintain blood flow and decrease swelling. When you’re a senior traveler, there are additional factors that should be considered regarding insurance. What happens if a fall takes place or you run out of your medication? Health Insurance: If traveling within the United States, be sure to look up what hospitals accept your health insurance and if there is coverage during travel. If going abroad, look at buying a travel medical plan or vacation plan that includes medical emergencies. Trip Insurance: There are a few different options when choosing trip insurance. For seniors, there can be unexpected delays due to appointments, or medical clearance delays. Therefore, it is ideal that trip cancellation protection is provided. Look at the different costs of trip insurance to see if there is a policy right for you. 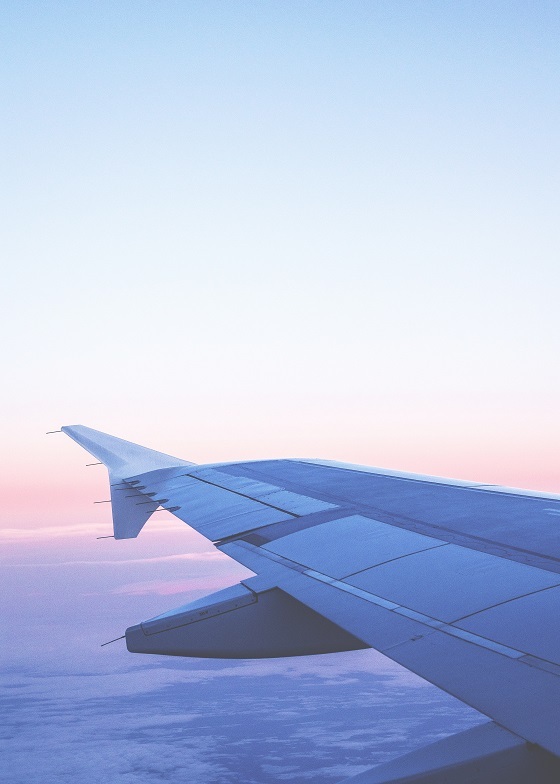 If finding a broker seems like a hassle, the right travel credit card can offer flight cancellation protection, priority boarding and free checked bags. Of course, only use credit cards if you understand the importance of paying the trip off in full by the due date to avoid interest and negative marks on your credit scores. Remember, it’s important to continue to live life to the fullest at any age. Following these basic tips will be sure to save you a few headaches during holiday travel. Keep this merry season filled with fun adventures and safe travels. If you’d like to receive news, articles and information like this each week, subscribe to our newsletter.